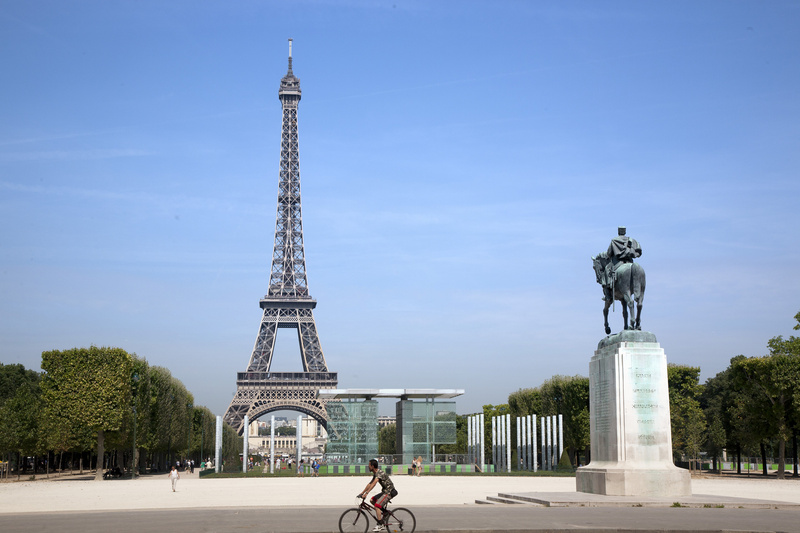 In recent years, concerted efforts have been made to make Paris a more cyclist-friendly city. To date, more than 700 kilometers of cycle paths and routes have been installed, and many more stretch out into the suburbs. The Vélib’ rental scheme will celebrate its tenth birthday in 2017, and it now has roughly 1,200 stations, 20,000 bikes, and 90,000 daily users. We’ve planned out six routes to help you make the most of a day on the pedals, and one extra course for the super intrepid amongst you! 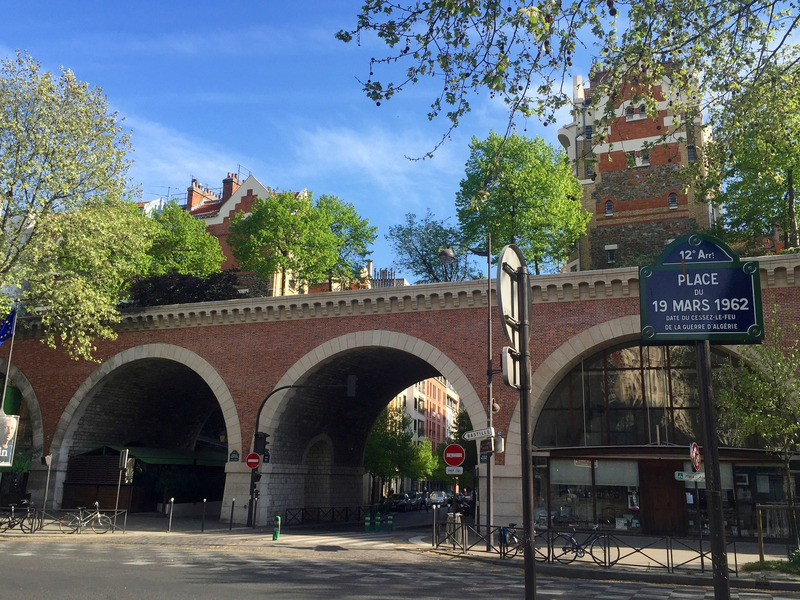 This route starts in the ultra-trendy Canal Saint-Martin district, where you should make a couple of early pit stops at the restaurants, bars, and shops. Follow the canal and the gardens that cover it when it goes underground until you arrive at Bastille. Things can get a little hairy here so dismount if you’re a nervous rider. A short distance from the roundabout, you can climb up to the Promenade Plantée, a 19th-century railway viaduct converted into a tree-lined lined garden pathway, which will lead you to the Bois de Vincennes. There is plenty to explore in this 995-hectare park, but the Château de Vincennes is a must-see and the Lac des Minimes would make a nice end to the journey. Starting off in the Parc de Bercy, which is surprisingly well-stocked with wildlife for an urban park, this route skirts around the Bois de Vincennes (where,if you fancy, you could jump into a quick visit to a working organic farm) to make the most of Paris’ second, oft-forgotten river, the Marne. 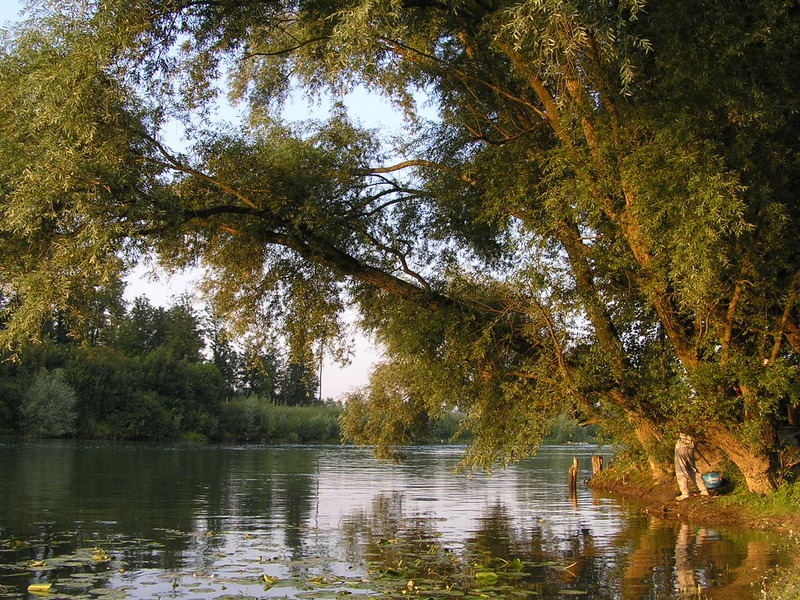 After passing through the suburb of Saint-Maurice, former home of Eugène Delacroix and the Marquis de Sade, you can join the voie verte cycle path which hugs the river and meanders all the way to Noisiel. Of course, there’s no need to go the full 25 kilometers – turn back at any point if the burn gets too intense! 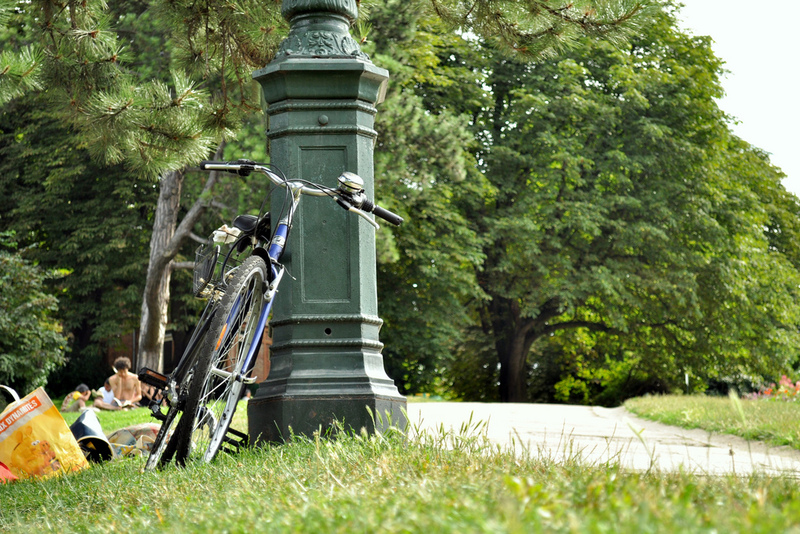 This short but intense urban cycle will see you climb to the highest point in Paris. If you’re up to the challenge, get on your metal, two-wheeled steed at Place de la République and head east in the direction of Parmentier metro station. Here, take a left along rue Oberkampf and rue de Ménilmontant and start the ascent towards Télégraphe metro station. If you’re in need of an (alcoholic) refreshment at this point, there are plenty of bars in this bobofied neighborhood to choose from. Once you’ve made it to the 485-foot summit, you have some cracking views of the city to enjoy as you glide towards the Parc des Buttes-Chaumont, the ideal spot to pass out on a blanket and enjoy the satisfaction of a mountain conquered. 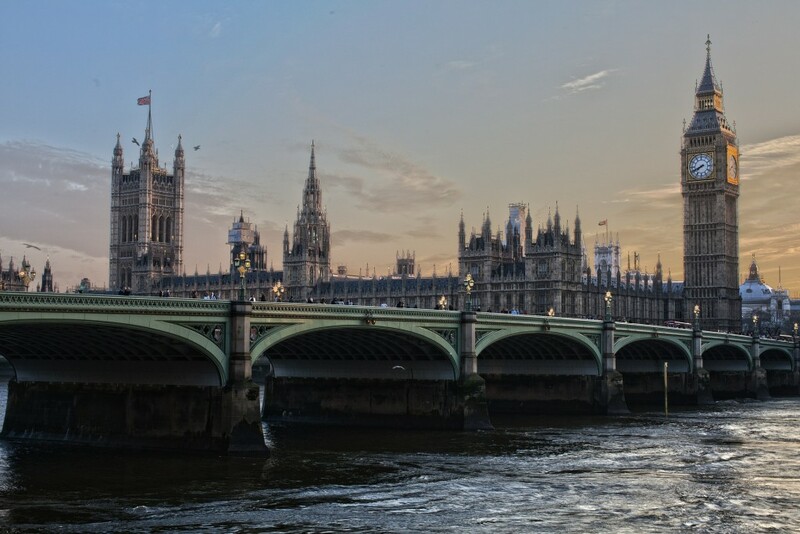 If you quite fancy taking in the city’s most famous landmark without getting caught up in a crowd of slow-moving tourists, this is the route for you. Start in the Trocadéro Gardens, where you can take an outstanding pre-cycle selfie, and head then head down through the legs of the Eiffel Tower and into the Champ de Mars. Double-back on yourself once you’ve taken a slightly more disheveled selfie from the other side of the tower and curve left along the river towards the Île aux Cygnes, Paris’ secret island in the west. Once you’ve crossed the river, enjoy the resplendent architecture of the city’s poshest arrondissement before heading into the 850-hectare Bois de Boulogne, a royal hunting ground turned fashionable playground with boating ponds, a racetrack, and even a small zoo. While the city center’s roads and cycle paths might be no big thing for Parisians and practiced cyclist, if you’re not used to the hustle and flow, it can be a little overwhelming on a busy weekday. Thankfully, the Paris Respire car-free scheme has come to the rescue. On Sundays and public holidays, large parts of the city are closed to vehicles between 9:00am and 5:00pm. Some of the top spots for a worry-free cycle are along the banks of the Seine (where plans are afoot for permanent pedestrianization), the Marais, and parts of Montmartre. Check out the town hall’s dedicated web page for information on participating areas near you and the latest on dates and times. This longer route gives you an amazing cross-sectional view of Paris and Parisian society. Starting in the plush streets around the Parc Monceau, you then travel through the former red light district and home of the Moulin Rouge before arriving at Stalingrad metro station (where our first route began) and kilometer number seven. 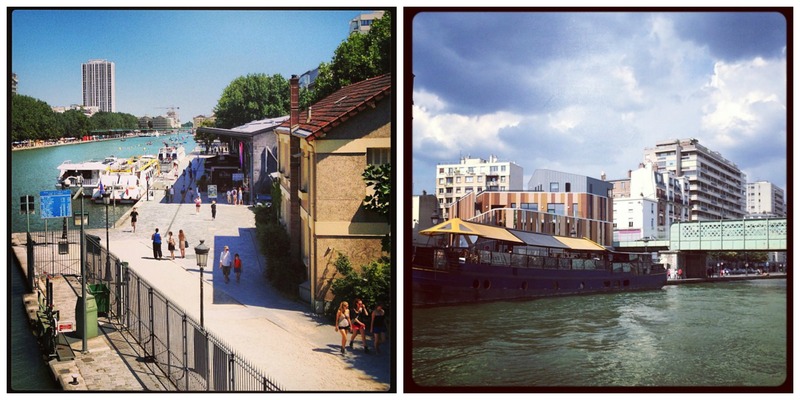 This time, take a left and head north through the Parc de la Villette, a prime example of 19th arrondissement gentrification, and out along the Canal de l’Ourcq. The canal-side pathway, which sports some impressive street art, will take you through inner-city suburbs like Pantin and Bondy, some industrial areas, and finally to the Forêt de Sevran. Push on a little further and you’ll arrive at open countryside. You certainly won’t be doing this in an afternoon, but perhaps after completing all of the above routes, and building up some serious thigh power, you might consider this trans-Channel challenge. The Avenue Verte is an international cycle route that takes you between Paris and London by way of the Dieppe to Newhaven ferry. Opened on June 23, 2012, it has rapidly become a favorite of passionate cyclists and a feature on ambitious Parisians’ to-do lists. Give it a go, if you think you’re hard enough!